Tata Nexon has scored five stars for Adult and three stars for Child Occupant’s Protection in Global NCAP latest crash tests. While the issue of road safety is a much debated topic the world over and efforts being made to reduce deaths due to accidents on the road, the new Tata Nexon comes in as an example on how safe a car can get. 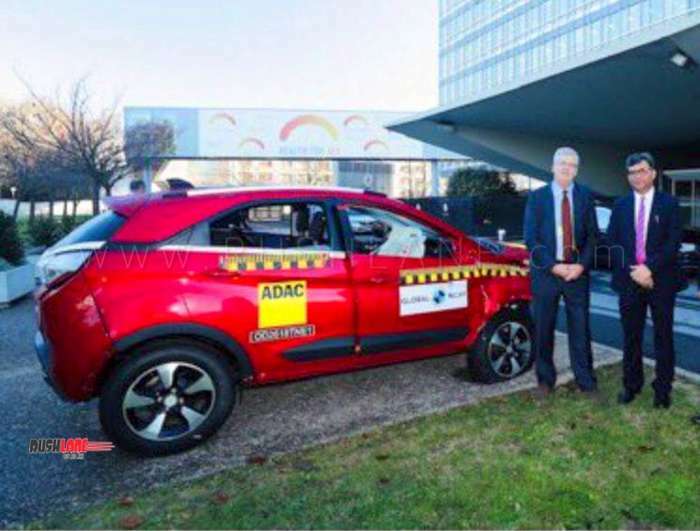 Tata Nexon, the new five star rated car from Tata Motors has gone on display at the World Health Organization head quarters in Geneva, Switzerland. It is an example of the first Made-in-India car that has commanded a 5 Star rating from Global NCAP. Its display at WHO is a matter of pride for the company and for the country. 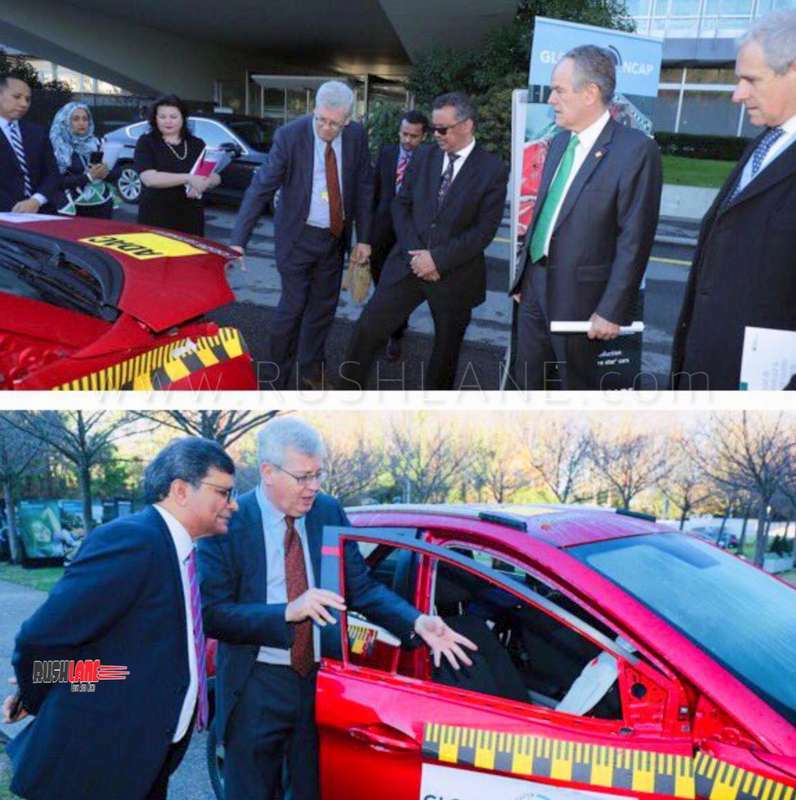 There is no doubt that safer cars for the world is the need of the hour. Road safety is a major issue and the ever increasing number of deaths on the road a matter of great concern. The recent report on road traffic deaths submitted by WHO indicates there are 1.35 million fatalities per annum across the world. The 2018 report has revealed that road traffic injuries are a leading killer especially where children and young persons in the age group of 5-29 years are concerned. Brand ambassador of India in Switzerland and other prominent personalities from around the world taking a look at the Tata Nexon at WHO in Switzerland. Though the rate of deaths, relative to the size of the population, may have stabilized in recent years, the fact remains that road traffic accident is a leading cause of death and hence needs to be tackled on a war footing. If the latest WHO report is to be believed, of the 13.5 lakh deaths due to road accident in the world, about 3 lakh are registered in India. This means, India registers about 821 deaths a day due to road accident. Along with making cars safer, the need of the hour is to make better roads, as well as safety awareness.